days, and a Southern woman who’s been raised by Wolves is awfully hard to deny. attraction, both get much more than they bargained for. What was the story about? I woman looking for her way out of a storm, however what she wasn’t prepared for was the bigger storm lurking on the horizon! Did the main characters run into any problems? Adventures? Isn’t their always an adventure in an MC book? Did you like the book? I thought the book was good. It wasn’t like the normal MC romances I read, but I did enjoy it 🙂 I thought that the story was less focused on the romantic elements, and more so on the story at large. If you don’t enjoy the more dark MC reads, this for sure will be right up your ally!! Would you recommend this book to another person? For sure! What type of person would like this book? 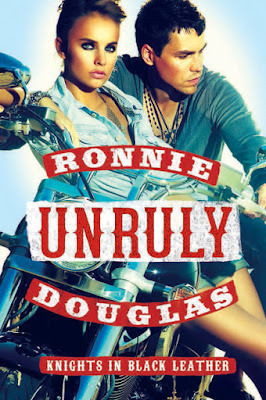 I think anyone who is turned off by some of the darker more taboo MC books out there, would totally eat Unruly up for dinner!! !